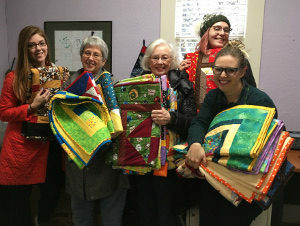 Just in time for the holidays, CCQ members delivered 23 quilts to Kinship House, a Portland nonprofit that provides mental health services to kids in foster care. The Kinship House mission is to help minimize transitions and increase the chances of children settling into a stable, healthy, and permanent home. You can learn more about Kinship House on their website. 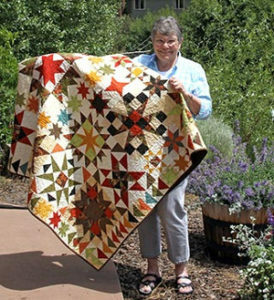 In the Coffee Creek Quilters prison quilting program, our students each make three quilts. 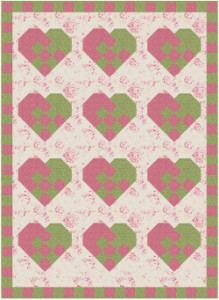 The first two are for donation to organizations like Kinship House while students get to keep their third quilts. Instructors in CCQ’s four classes meet regularly to share ideas about teaching in our prison quilting program. We also use email to communicate with each other. A recent email exchange focused on our goals for teaching.